At the start of April, Netflix added a ton of content from one of the unsung heroes of cable programming, Cartoon Network, with days worth of great TV that you can stream right now. Here’s a guide to where to get started with all the animated content that’s Now Streaming. Netflix, season one recently added. One of the best shows on television is an animated series aimed at 12-year-olds. I’ve mentioned Adventure Time (Cartoon Network, 2010-Present) in Now Streaming before, but up until now it’s been almost impossible to find more than an episode or two online available for you to stream legally. 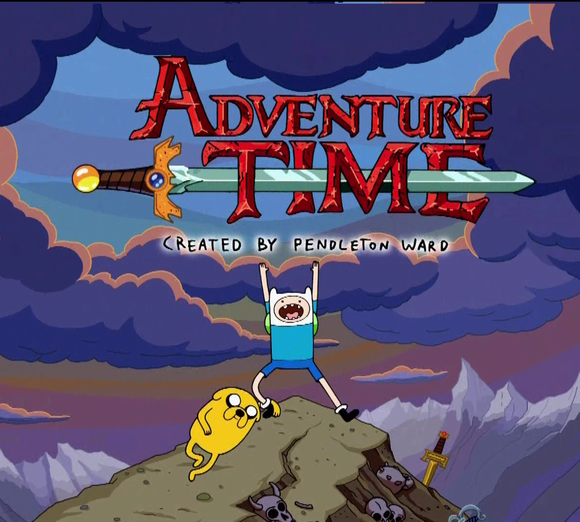 The show follows the adventures of Finn the human boy, and his magical shape-changing dog (and best friend) Jake, as they explore and fight evil in the land of Ooo. Adventure Time is knowingly, gleefully ridiculous. It regularly features a character called the Ice King kidnapping another called Princess Bubblegum, for instance. It’s also, however, one of the best representations of the confusion and conflict that comes with entering your teenage years on television. Finn’s adventures and tribulations are larger than life, but almost always relate to a conflict that a 12-year-old boy would end up facing when living a much more normal adolescence. The show’s first season keeps things relatively simple (eventually most of the side characters and the land of Ooo itself turn out to have a complex backstory totally unknown to Finn and Jake) but show off the heart and humor that have made Adventure Time into Cartoon Network’s new flagship show. Of course Adventure Time isn’t the only great show Cartoon Network has created over the years. A decade ago, the network was riding the critical acclaim from Samurai Jack (Cartoon Network 2001–2003). The show (above) featured a bizarre high-concept premise, an ancient samurai flung into the distant future to defeat a shape-shifting wizard who has taken over the world, but the distinctive art style made the show incredibly popular. It won four Emmys and became perhaps Genndy Tartakovsky most famous work—not an easy task since Tartakovsky was also heading up the network’s two other breakout hits at the time, Dexter’s Lab and The Powerpuff Girls. If you run through Jack’s first season too quickly, both of those have also recently been added to Netflix’s library. Cartoon Network may have made its name with children’s shows, but these days that isn’t nearly everything the network is up to. Adult Swim, the network’s late-night, all-ages programing block, has created some of the best adult-oriented comedies of the last 10 years—animated or otherwise. The Venture Brothers (Cartoon Network 2003-present) is Adult Swim’s irregularly aired masterwork. Cribbing from the history of Hanna Barbara cartoons like Johnny Quest before branching out to almost every 1970s and 1980s pop culture touchstone imaginable, the show follows the makeshift family of Dr. Rusty Venture, a supposed contemporary of Johnny Quest who (at least in the Venture Brothers universe) had his own incredibly popular TV show, and whose childhood adventures and super-achieving, super-scientist father have scarred him for life. The show’s willingness to show the psychological toll the bizarre adventures of saturday morning cartoons and comic book characters would have on real people takes it to some incredibly dark places (the show does a a seasons long riff on how dysfunctional the Fantastic Four would actually be, for instance) but that never stops it from being one of the funniest shows Cartoon Network has ever aired. The same techniques Venture Brothers use to make Hanna Barbara’s history into a minefield of psychological trauma, Scooby-Doo! : Mystery Incorporated (Cartoon Network, 2010-Present) uses to breathe new life into the Scooby-Doo franchise. Since there hasn’t been a good revival of Scooby-Doo in my lifetime before now (and my lifetime has seen a good half-dozen of them) many people have ignored Mystery Incorporated as just another cash-in on a show whose bits were tired when it first aired decades ago. That’s a shame, though, since Mystery Incorporated manages to take the core of Scooby-Doo’s wacky energy and transport it into the modern television landscape efficiently and effectively. The show has a season long arc and over-arching mythology, but it also digs back into this history of Scooby-Doo and other Hana Barbara shows to create a fleshed-out universe where all the stories that adult fans of the show watched as kids are part of the Scooby gang’s history. More than any other show on this list, Mystery Incorporated is clearly made for kids first and adults second, but it still shows an intelligence and respect for its classic forebears that deserve more attention than the series has received. Not everything added from Cartoon Network’s library is actually a Cartoon Network original, but that doesn’t make them any less valuable. Batman Beyond (WB, 2001–2003) has long been the black-sheep of the DC animated universe. Its premise sounds like the kind of “edgy” 1990s remake that doomed so many other franchises. It transports the Batman mythos into a far future gotham where Bruce Wayne has become too old to wear the mask and a new, hip teenage Batman—Terry McGinnis—has to take on the role of Batman. While the premise could have gone horribly wrong, the same creative team responsible for Batman: The Animated Series and Justice League helm the show, turning what could have been a train-wreck into an intelligent exploration of what Batman would be without Bruce Wayne and what Bruce Wayne would be when he’s no longer physically capable of continuing his single-minded obsession with justice. Perhaps the strangest thing about the modern line-up on Cartoon Network is that the network no longer exclusively shows cartoons. Adult Swim has quietly built up a solid line-up of quarter-hour, live-action comedy shows that share the rest of the network’s manic energy. One of its earliest and best non-animated offerings is Children’s Hospital (Cartoon Network, 2010-Present). On a basic level, the show is a parody of hospital dramas but it often feels free to abandon that premise completely. One of the show’s best sources of comedy is the idea that Children’s Hospital has been running in one form or another for decades and that you’re just tuning in for random episodes. This lets Children’s Hospital, which is gleefully insane in even its most mundane episodes, branch out into truly strange experimental episodes including a “lost episode” from the early 1970s and an entirely “live episode” as the second season finale that seems to be almost entirely unrehearsed.